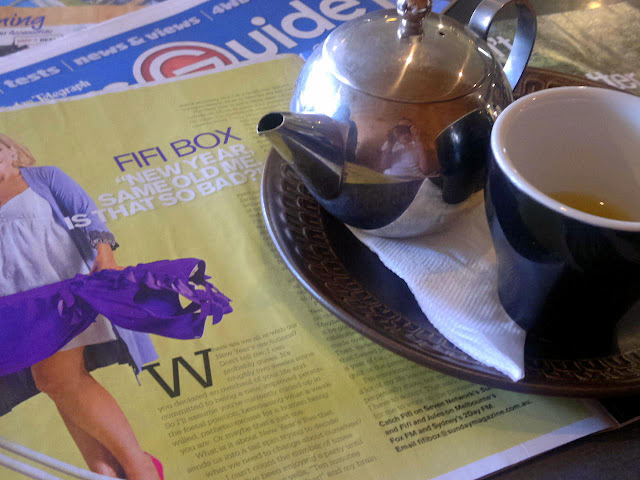 This morning I was sitting in a cafe before I began work, sipping on a green tea, and I was reading a column in the Sunday paper written by Fifi Box. A humourous, witty, woman who has a way with words. Today's write up - New Years. What is it about New Years Eve that bends us into a tail spin trying to decide what we need to change about ourselves? I'm emotional and irrational, and I spend a lot of my life learning from the mistakes I perpetually make, but maybe that's the person I have to accept."